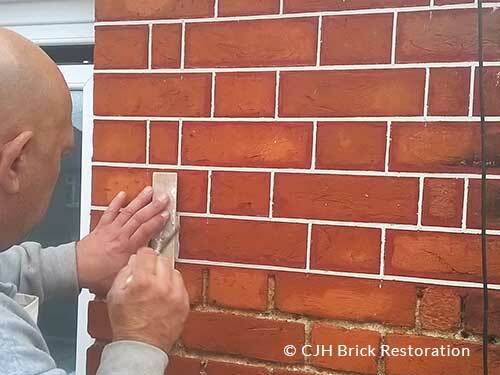 CJH Brick Restoration services offer a variety of pointing techniques, and we are regularly asked what this involves. We have listed below the services we provide with a description for your reference. Tuckpointing was developed in England in the late 18th century and is the process of using two contrasting colours of mortar in the joints of the brickwork. A colour backing mortar will blend in with the brickwork whilst a tuck ribbon will be applied to give an artificial impression that fine joints have been made. Penny pointing is produced by rolling a coin typically an old 1d penny, (hence the name penny pointing) along the soft mortar, creating a continuous band through the middle of the joint and gives a uniformity appearance to the work. Brick Pointing also known as pointing and re-pointing is the process of filling or renewing the parts of the mortar joints. Over a period of years, weather and decay will cause the joints between masonry or bricks to allow water in which can cause significant damage through frost and salt deposits. Re-pointing is the best method to rectify this problem. Brick cleaning and brick restoration will not damage or change the brick face. It will reveal the original colours and beauty of the brickwork. If you are considering a brick cleaning service as part of a bigger renovation project, then this should be completed at the start of the project. 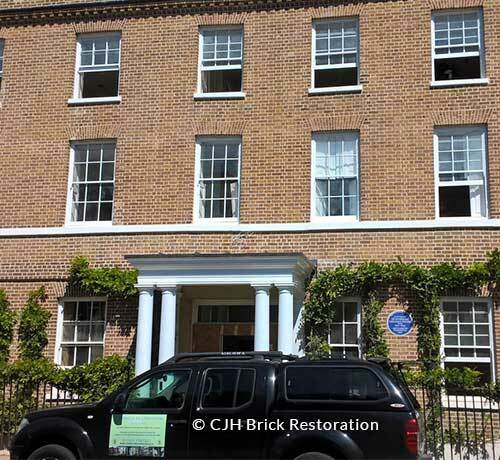 CJH Brick Restoration use different techniques to achieve excellent results such as pressure water washing as one example and is environmentally friendly. Weather Struck Pointing is where the mortar is sloping outwards from the underside of one brick to the face of the one underneath. This method is used to prevent water laying on the surface of any of the brickwork. Flush Pointing is the process of removing the excess mortar by holding the pointing trowel flush against the surface of the brickwork and allowed to dry. Once dried the excess mortar is removed carefully with a piece of wood. Hogarth House residence of Virginia and Leonard Woolf restored in Lime. Double struck and Penny pointed mortar joints.